BA said the breach took place between 22:58 BST on 21 August and 21:45 BST on 5 September. Shares in BA parent group IAG closed 1.4% lower on Friday. Mr Cruz also told the Today programme: "We're extremely sorry. I know that it is causing concern to some of our customers, particularly those customers that made transactions over BA.com and app. "We discovered that something had happened but we didn't know what it was [on Wednesday evening]. So overnight, teams were trying to figure out the extent of the attack. Mr Cruz added: "At the moment, our number one purpose is contacting those customers that made those transactions to make sure they contact their credit card bank providers so they can follow their instructions on how to manage that breach of data." The airline has taken out adverts apologising for the breach in Friday's newspapers. BA data breach: What do you need to do? "It was name, email address, credit card information - that would be credit card number, expiration date and the three digit [CVV] code on the back of the credit card," said BA boss Mr Cruz. BA insists it did not store the CVV numbers. This is prohibited under international standards set out by the PCI Security Standards Council. 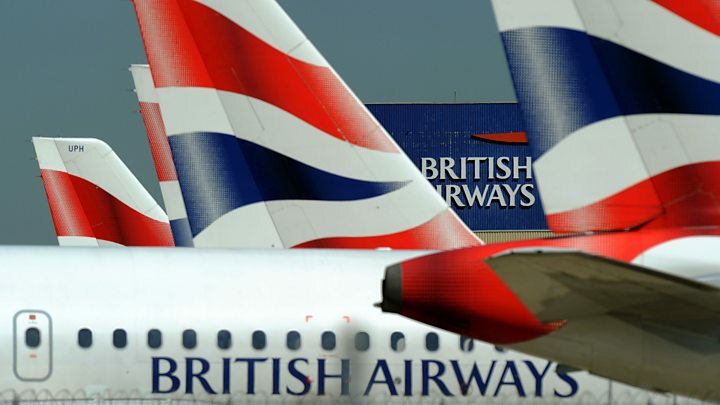 Since BA said the attackers also managed to obtain CVV numbers, security researchers have speculated that the card details were intercepted, rather than harvested from a BA database. It isn't totally clear how hackers boarded BA's website and app - but cyber-security experts have some suggestions. How did hackers get into British Airways? What could the hackers do with the data? Once fraudsters have your personal information, they may be able to access your bank account, or open new accounts in your name, or use your details to make fraudulent purchases. They could also sell on your details to other crooks. If you've been affected, you should change your online passwords. Then monitor your bank and credit card accounts keeping an eye out for any dodgy transactions. Also be very wary of any emails or calls asking for more information to help deal with the data breach: crooks often pose as police, banks or, in this instance they could pretend to be from BA. Will my booking be affected? BA says none of the bookings have been hit by the breach. It said it has contacted all those affected to alert them to the problem with their data, but booked flights should go ahead. Will there be compensation for me? If you suffer any financial loss or hardship, the airline has promised to compensate you. Jorg Herrera, from Amersham in Buckinghamshire, received an email from BA last night having booked tickets with the airline last month. "I have six cards linked to my BA account," he told the BBC. "I have no idea how much of my information has been stolen. "I will have to go to each of my credit card providers, cancel the cards, and all the direct debits, etc, related to those cards. This will take a long time, something I have to do with no help from BA. "This whole thing is terribly concerning and really annoying." 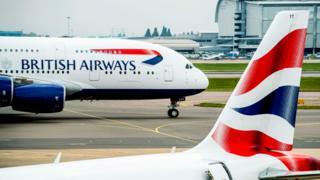 BA could potentially face fines from the Information Commissioner's Office, which is looking into the breach. Rachel Aldighieri, managing director of the Direct Marketing Association, said: "British Airways has a duty to ensure their customer data is always secure. They need to show that they have done everything possible to ensure such a breach won't happen again. "The risks go far beyond the fines regulators can issue - albeit that these could be hefty under the new [EU data protection] GDPR regime." Under GDPR, fines can be up to 4% of annual global revenue. BA's total revenue in the year to 31 December 2017 was £12.226bn, so that could be a potential maximum of £489m. The National Crime Agency and National Cyber Security Centre also confirmed they were assessing the incident. In July, BA apologised after IT issues caused dozens of flights in and out of Heathrow Airport to be cancelled. And in May 2017, problems with BA's IT systems led to thousands of passengers having their plans disrupted, after all flights from Heathrow and Gatwick were cancelled. "It does not indicate that the information systems are the most robust in the airline industry," Simon Calder, travel editor at the Independent, told the BBC. However, he does not think BA will be affected in the long term by the breach. "The airline has immense strength. Notably it's holding a majority of slots at Heathrow, and an enviable safety record, so while this is embarrassing and will potentially cost tens of millions of pounds to resolve, it's more like another flesh wound for BA, rather than anything serious."